Sound City is a different kind of music documentary, as Dave Grohl is hands-on with the subject matter and, at times, seems to be a bigger focus than the studio itself – of course a lot of credit goes to the Foo Fighters frontman in telling the story and rebuilding the Neve console that makes the whole movie possible. 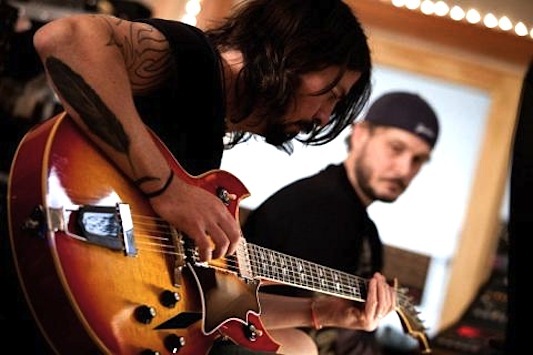 Grohl’s role in the film is similar to Keanu Reeve’s in Side By Side – it gives the documentary more personality but, at times, the informative side of the story is diminished. Still, Sound City is a good documentary that, like Muscle Shoals, that goes behind the scenes of your favorite records. The real story, however, is the Neve console: considered by many audio experts to be the Rolls Royce of consoles. Each desk took months to construct, using over 2,500 hours of highly-skilled labor and hard-to-find components. In the digital age, it’s uneconomic to manufacture such recording equipment – but Sound City’s signature sound was created on two Neve consoles: a 28-channel 8028 and a 40-channel 8078. Despite the recording industry’s move to digital technology, there remains a high demand among enthusiasts for the sound that can be achieved with analog equipment – that human element of music that Grohl’s documentary speaks to and hopes to preserve. You can purchase Sound City on Blu-Ray, DVD, or stream it through Amazon Instant Video. Also, the film’s soundtrack is available on Vinyl, CD, or as a digital download.